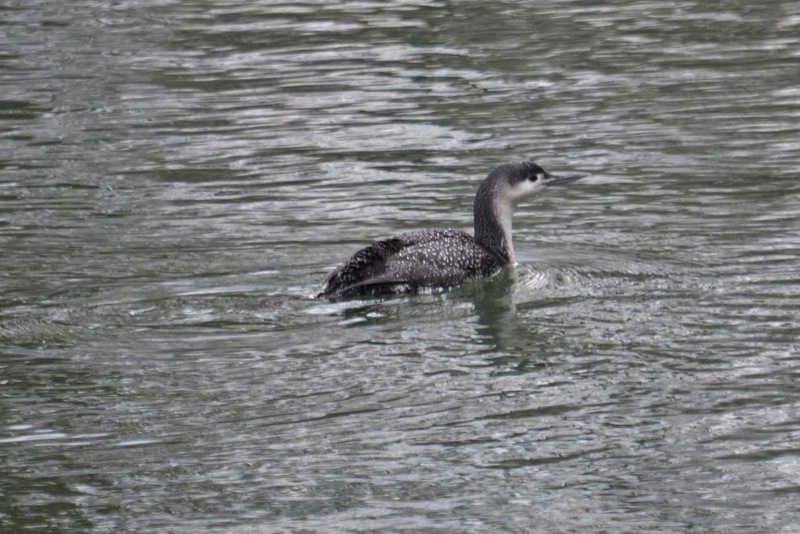 A Red-Throated Loon was passing through the area and popped up for a visit on this first day of spring. In recent days there has been quite a parade of visitors here along the river since the waterfowl are on the move with the arrival of spring. 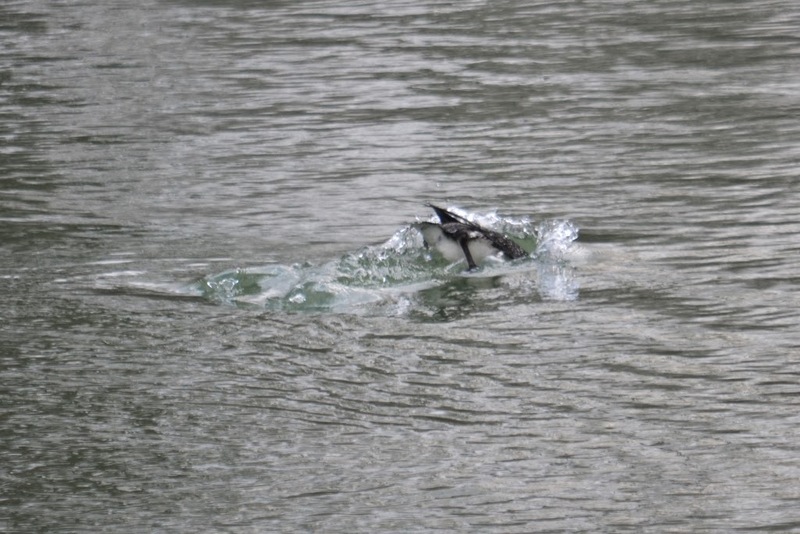 I glanced out the window this morning and saw a loon-shaped bird on the river. I almost broke my neck.... I exclaimed, "What was that.... a loon?" 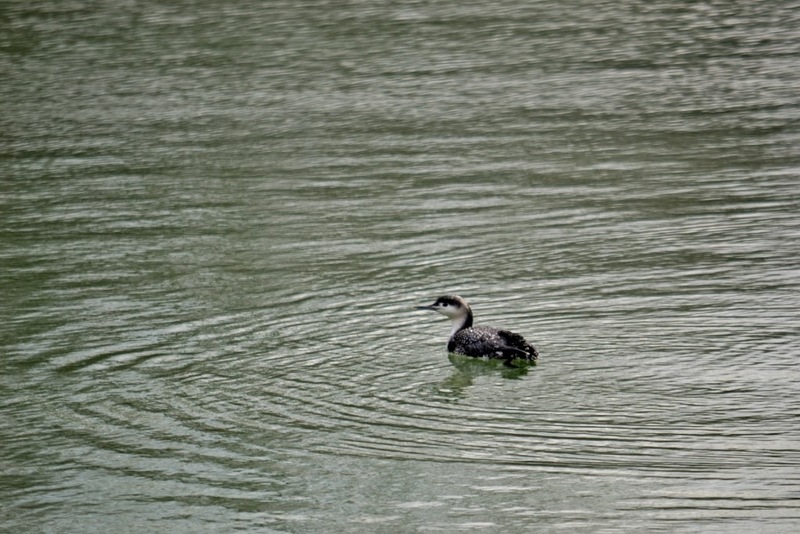 We rarely see loons around here in Pennsylvania. 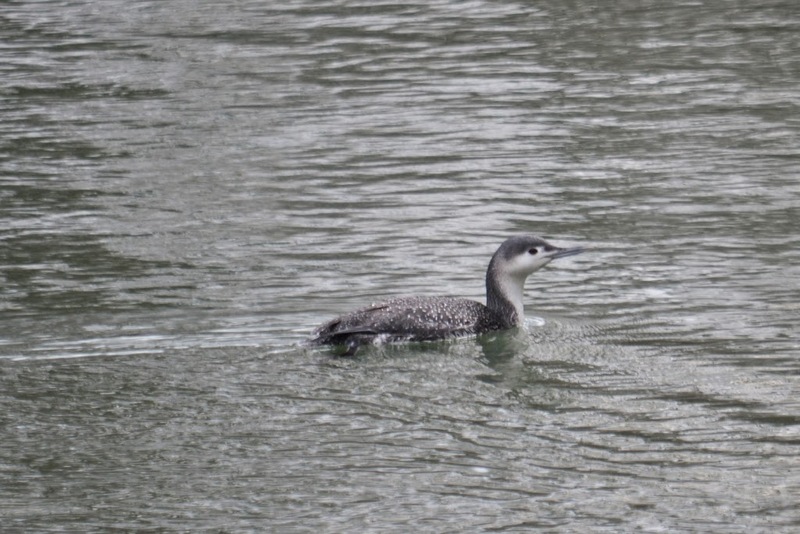 Notice how the Red-throated Loon looks slimmer and perhaps daintier than the Common Loon. I suppose that's because Red-throated Loon holds its head tilted slightly upward and that accentuates its thin, pointed, upturned bill. This time of year there's no red throat because the loon is still wearing its winter plumage. Check out its gray back with its white speckles. 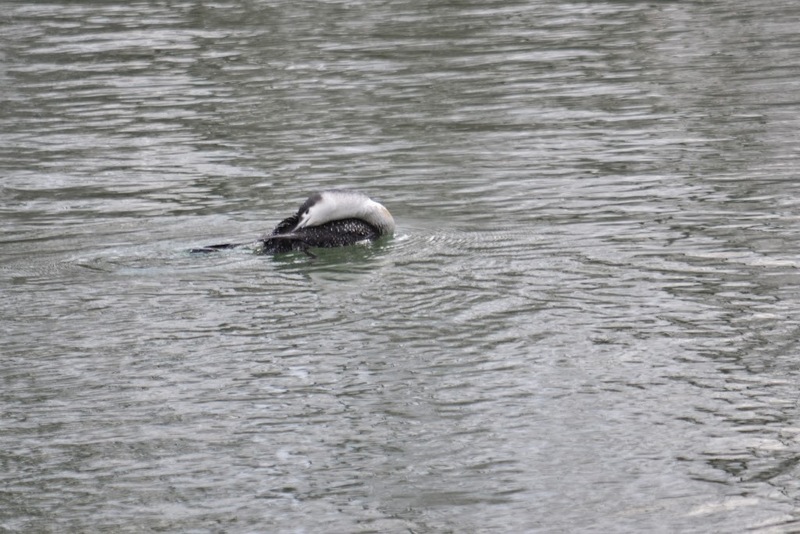 That's a lot of back.... enough that the loon could barely reach its tail while preening itself. 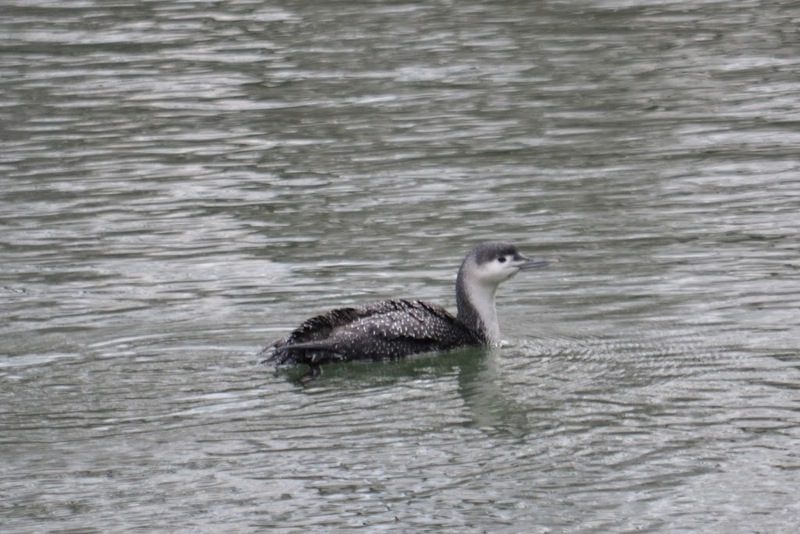 Upon hearing that I has seen this Red-throated Loon, my daughter commented, "Must have been really cold up in Canada this winter, 'cause we had Snowy Owls and loons around here". The fishin' is good here... I hope the loon stays awhile. I haven't heard loon calls in a few years. I love the call of the loon. And "yes" we are having a banner year for Snowy Owls this year.